A tale of two gaffes. Mediaite: Did Fox News Misidentify A Japanese Nightclub As A Nuclear Power Plant? 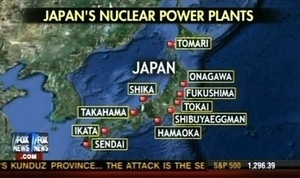 Business Insider: Did Fox News Mistake A Japanese Dance Club For A Nuclear Plant? Who are they hiring over there? No wonder people who watch Fox News have no idea what is going on in the real world. Like most Republicans, the Fox News crew is so evil that sometimes one forgets that they're also extremely stupid. You're not paying attention. Unlike CNN, Fox doesn't employ reporters or professional researchers, and it shows. It shows during any 5 minutes of broadcasting. Funny that they should mention CNN. 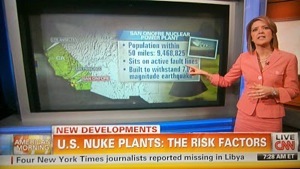 Yesterday, during American Morning, CNN displayed a map...not of Japan, but of an exotic location known as California. 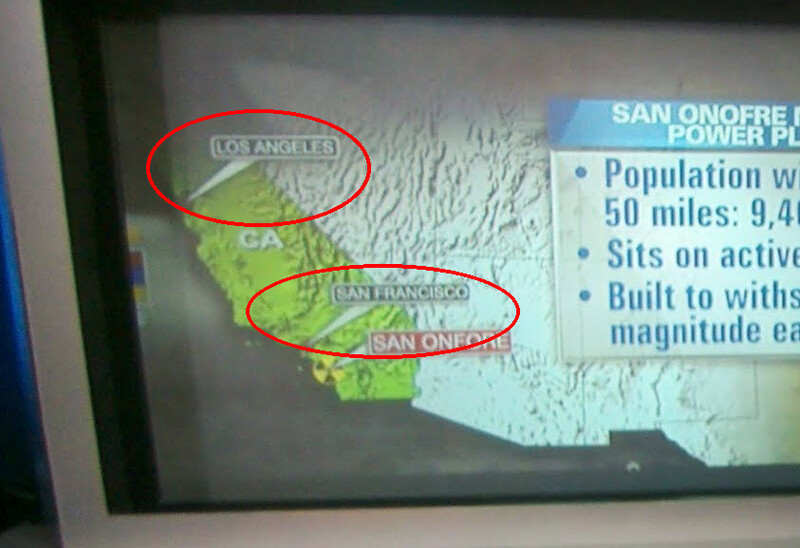 And their map just happened to get the locations of two cities wrong--San Francisco and Los Angeles! It is now well past 24 hours since CNN’s gaffe. That’s more than enough time for this to have percolated all over the interwebs. Yet for some reason, there aren’t hundreds of websites trumpeting this embarrassment. HuffPo, Gawker, Mediaite, Science Blogs, and Business Insider? Oddly, none of them has posted an article about it. That’s quite a coverage gap! A cosmic coincidence? Not exactly. The first appearance of the Fox News map was on Media Matters. They constantly monitor all the cable news channels and had a screengrab up less than an hour after Your World aired. But while they thought an error on FNC was newsworthy, they took a different approach to the CNN gaffe. They ignored it. Whatever their reasons (and they aren’t that hard to figure out) Media Matters rushed to chortle over Fox’s erroneous map, but quietly covered up a more egregious blunder from an FNC competitor. What does this say about HuffPo, Gawker, and the others? Do they mindlessly echo whatever they see on Media Matters? Do they care about cable news blunders if they aren’t on Fox? Or do they just let Media Matters, a partisan organization with an agenda a mile wide, do their work for them, because they’re too lazy to spend a few minutes’ time to do their own research?